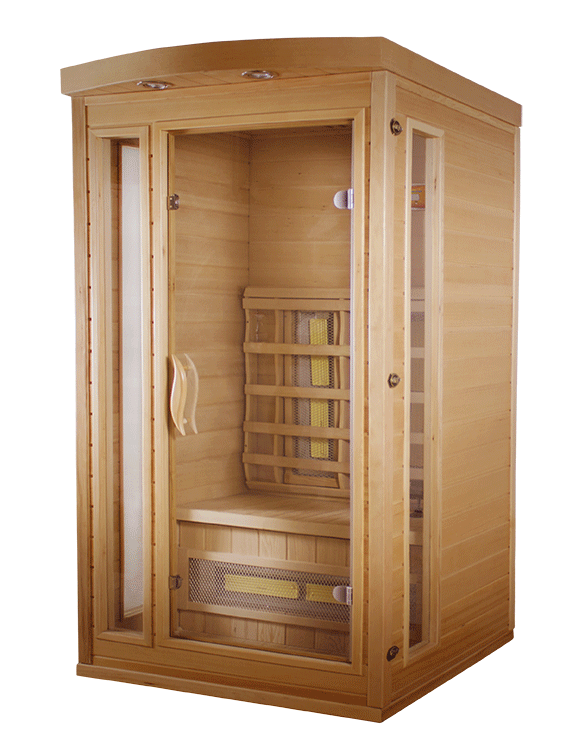 Far Infrared Sauna technology, is a non-cedar sauna that utilizes special ceramic heaters which generate infrared rays (the invisible part of the natural electromagnetic light spectrum) to deeply penetrate through the skin and stimulate whole body cellular detoxification. The far infrared energy emitting from the sauna’s heaters augment the body’s healing mechanisms, allowing toxins and pollutants stored in fat cells to be dissolved and washed away through our natural body functions. This method of detoxification has been known to improve the immune systems health by increasing the production of white blood cells and killer T-cells. Other benefits may include weight loss, the relief from pain, chemical sensitivity, brain fog, fibromyalgia, chronic fatigue, rheumatoid arthritis, anxiety, depression and heavy metal poisoning. To read more on the many health benefits of far infrared therapy, please go to therasuana.com and click on the health benefits link and be amazed. One sauna a month is better then doing nothing at all and you will certainly achieve a sense of deep relaxation, as well as a few other benefits listed above. General recommendation is for 1 to 3 treatments per week for 3 to 5 weeks depending on the number and severity of symptoms. A recommended maintenance program of 1 session per month, once well being has been achieved, to prevent the increase of toxin levels. To prepare for a sauna session it is important to drink plenty of water before, during, and after your sessions. Please bring your water and one towel along with you when you are scheduled to come in.